Apple and Samsung have put on major growth spurts in the UK's computer market, with both companies recording significant gains in shipment figures. 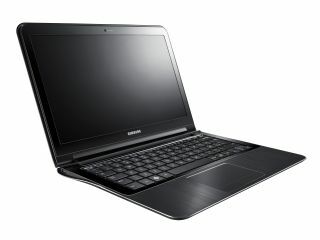 According to estimates by Gartner, Samsung's laptops are performing admirably alongside Macs from Apple. Samsung's Q3 figures suggest an increase of 39 per cent compared to the third quarter of 2010 – giving it a 7.3 per cent share of the market. Apple's Macs are also growing in popularity with a 21.8 per cent year-on-year growth pushing its market share to 7.8 per cent. It was Acer that was the biggest loser in the latest figures, dropping from the biggest seller of laptops in the UK to third and dropping from a 21.6 per cent market share to 11.6 per cent in the last quarter's figures. Old warhorses HP and Dell gained market share, but shipped less products, recording 9.4 and 6.4 per cent losses year on year. "The market seems to be moving at three speeds," said Ranjit Atwal, research director at Gartner. "The top two vendors, HP and Dell, continued to struggle to find new opportunities and experienced single-digit declines; Acer, in the process of inventory re-adjustment, declined more than 50 percent; Apple and Samsung gained strength in the market. "More importantly, quarter-on-quarter, all vendors saw growth apart from Acer, suggesting the fluctuations in the market may be bottoming out."